Your City. Your Point of View. 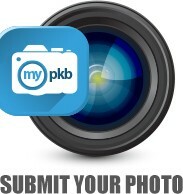 Welcome to myPKB, a photographic gallery of Parkersburg created by residents and visitors. We want to see the things that impact you in our city, from your point of view, so we invite you to submit your photos of great and interesting things you see in Parkersburg for our online gallery.